At E-Style Home Systems, we realize that your home and lifestyle is unique. Our lifestyle solutions are focused on you. We simply install the solutions you desire that will enhance your lifestyle and how you want to live. Our solutions will allow for better comfort, convenience, and simplicity of use. Whether you want to relax, work, or entertain, E-Style has a solution for you. It's 7:00am and time to get out of bed. But before you begin to stir, your favorite music softly starts to play, curtains slowly begin to open, and lights gradually turn on to a comfortable level. There are endless entertainment possibilities for your home when you consider multi-room audio/video solutions. Whether your budget is a few hundred dollars or a few thousand. Never before has home networking made life so productive and fun for the entire family. Whether you're communicating from one computer to another or downloading music from the Internet. Bring family and friends together to enjoy the big theater experience in the comfort of your own home. From surround to whole room design. A well-designed lighting and shade system gives you the power to control the ambiance in your home with the push of a single button. 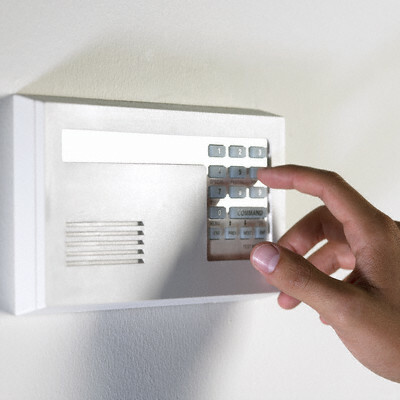 Protect your family and guests with an integrated security system that does much more than sound a siren or call the monitoring station. Whether its a baseball game, a birthday party, a holiday, or a Friday night. Weather-resistant Outdoor TVs and speakers can add to the fun. E-style can help make your backyard a place to enjoy music and entertainment for any occasion.